Security Motorcycle Couriers, Warrington, Manchester, Liverpool. Here at the Spartan Motorcycle Couriers we are frequently asked to transport high value items between various points in the North West and also across the UK. We use high performance motorcycles rode by our long serving highly trusted advanced motorcycle riders, waiting to transport your precious valuable items with the utmost of care. We have many years of experience as high value goods couriers in Warrington, Liverpool, Manchester, Cheshire, Merseyside, Greater Manchester, North West England and North Wales. All our vehicles use the latest pin point GPS tracking so we will always know exactly where your high value goods are and exactly at what time they should arrive. We are ideally placed to help you with one-off special deliveries where special care, attention and the personal touch is required. No matter what the shape of the valuable goods you need to transport in North West England, we have the experience to handle your precious items with the greatest of care and guarantee a safe and speedy, fully tracked transport service. When you choose Spartan Motorcycle Couriers to courier your high value goods in the North West and to any UK address you can be sure your items won’t get lost or damaged. We will treat your high value items with the greatest respect and care, and your precious items will only ever be loaded and unloaded once and never passed from vehicle to vehicle. You will enjoy the ease of making a simple call at any time to keep a close track on your goods, our prices are fixed and guaranteed, so when you need a totally reliable, trustworthy and safe delivery for your irreplaceable and valuable goods just call us at the Spartan Motorcycle Couriers – we are on the road in Warrington, Liverpool, Manchester, Cheshire, Merseyside, North West England right now. Spartan Motorcycle Couriers have been transporting high value items for the film and music and legal professions for many years all our drivers are long serving and highly trusted – our vehicles are all kept in the finest mechanical order so that we can maintain our exclusive, specialist courier service specifically designed for your high value items. Staff are mature advanced motorcycle riders and are SIA security badged and fully insured. 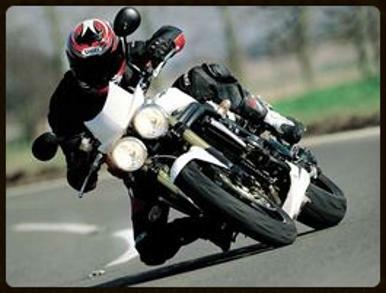 All Motorcycle Couriers are Security Operatives so your consignments are in safe hands. Consignments are transported in lockable waterproof Backpacks that are never taken off until the destination is reached.